Dana founded Pony Power in 2000 with four riders and one horse, Matinee, a.k.a. Mat. An accomplished equestrian from a young age, Dana started New York University’s equestrian team and competed internationally on the intercollegiate show circuit. After she earned a master’s degree from Wurzweiler School of Social Work, she gained experience working with special needs populations as a coordinator of child-study teams for school-based programming. When one of her three daughters was diagnosed with mild sensory integration issues, Dana tapped into her horse experience and became a Professional Association of Therapeutic Horsemanship (PATH) International-certified instructor. She’s worked with thousands of individuals in the years since and has been the guiding force behind Pony Power’s expansion and growth. Our instructors are certified or working toward their certification with the Professional Association of Therapeutic Horsemanship (PATH) International. PATH International is the leading accrediting body for the horse-assisted activities industry. All Pony Power instructors are experienced riders who have spent years working with horses. Most began as volunteers here at Pony Power. Leigh began volunteering with Pony Power in 2009. Seeing students make progress and grow stronger as a result of therapeutic horseback riding inspired her to resume her own riding education and pursue certification as a PATH International instructor in 2011. Leigh holds a bachelor’s degree in journalism from Louisiana State University. She brings nearly 20 years of publications and communications experience to her role as program development director. Julia came to Pony Power as a high school senior intern in 2009. Since then, Pony Power’s herd has benefitted from her extensive riding and showing experience which began at age 8. After graduating Drew University in 2013, Julia joined our staff as full-time equine manager and instructor. She became a PATH International-certified instructor in 2014. Sue came to Pony Power as a volunteer in 2015. She began riding at age 9 and competed at both regional and national levels as a teenager. Sue rode for the equestrian team at Alfred University where she graduated with a bachelor’s in athletic training and a double minor in coaching and equine studies. A starter on Alfred’s varsity lacrosse team and a lacrosse coach since 2002, Sue’s skills transfer easily to the farm as she works with both participants and farm crew volunteers. Kristin’s love for horses started at a young age. Most of her free time was spent riding, teaching lessons, and volunteering with her stable’s therapeutic riding program. She earned her bachelor’s in equine business from Delaware Valley College. After college, Kristin worked in the corporate world for several years, but always felt that something was missing. She started at Pony Power in the spring of 2019 and is loving her time here working with the horses and the volunteers. Emily started riding at age eight and followed her passion of horses to college, where she earned her degree in animal science from Rutgers University. After graduating, Emily worked as an equine veterinary technician, but discovered that her passion was in the field of therapeutic riding when she started volunteering at Pony Power. Emily joined Pony Power’s staff full time in early 2019, working both in horse care and as an instructor. Jenn became a Pony Power volunteer in 2006 and as a lifelong rider quickly achieved certification as a PATH International instructor. While earning her master’s degree in occupational therapy at Seton Hall University, Jenn also completed the American Hippotherapy Association’s level 1 and 2 hippotherapy equine skills and treatment principles courses. Prior to joining Pony Power full time in 2016, Jenn was as an occupational therapist in a school setting, working primarily with children on the autism spectrum. Erin was first introduced to therapeutic horseback riding as a volunteer at a center in New York State. Riding since age 5, Erin enjoys sharing her love of the sport and horses with her students, seeing their smiles and growing confidence each week. Erin became a PATH International-certified instructor in 2011 and joined Pony Power’s staff in 2013. She is studying professional communications at Ramapo College. Abigail came to Pony Power as a volunteer in 2016. She grew up riding but especially appreciates the bonds and skills that are created while practicing horsemanship. Abigail is a 2016 graduate of New York University where she earned a degree in psychology paired with minors in child and adolescent psychopathology, American Sign Language and animal studies. Abigail is currently pursuing her master’s degree at Columbia University’s School of Social Work. She became a PATH International-certified instructor in 2018. Andy joined Pony Power in 2018. He has a master's degree in special education and is a certified teacher with endorsements in English, history, special education, workplace readiness and food management. With over 25 years of experience working with individuals with special needs, Andy coordinates and leads All HANDs In, our after-school program. 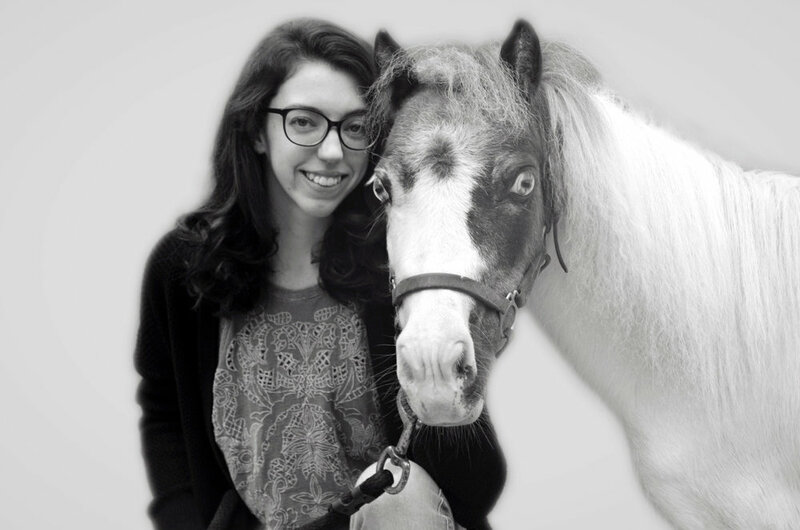 Wendy joined Pony Power in 2015 as a full-time director of development. Wendy brings to Pony Power 12 years of experience in corporate management in the fashion retail industry as well as 10 years of experience as a small-business owner. She received her MBA in marketing and international business from New York University and her bachelor’s degree in marketing from Boston College. With a daughter who has been riding at Pony Power for several years, Wendy and her family have personally experienced the benefits of therapeutic riding and the magic of spending time on the farm. Kerry joined Pony Power in 2016 as a full-time development assistant. She received her bachelor’s in psychology from the University of Montana in 2012. Since returning to her home state of New Jersey, Kerry has worked in fundraising and event planning at several non-profits in the tri-state area and brings that experience to Pony Power’s annual golf outing and horse show fundraisers. Kerry is also instrumental in the maintenance and functional expansion of our website. Lisa came to Pony Power in October, 2017 in a full-time role as Development Assistant. She received a Bachelor of Science in Communication Arts from St. John’s University. After working for almost ten years in Advertising Sales/Traffic for two major cable networks, Lisa took time to raise her family while working part-time for a local non-profit organization for over five years. Focusing on community outreach, Lisa most enjoys planning events, big or small, at Pony Power. She currently volunteers weekly as a side walker, getting to experience life on the farm from a different perspective. Gabrielle’s love of animals, proven by her experience as a puppy raiser for The Seeing Eye, Inc., brought her to volunteer at Pony Power in 2005. From the start, Gabrielle has had a special affinity for our two pigs – Ziggy and Piper. She was asked to join the team as a full-time office manager following her 2010 graduation from Ramapo College of New Jersey where she earned a bachelor’s in international studies and a minor in anthropology.